Sicilian cuisine has always been unfamiliar ground to me. My main knowledge it that while it is predominantly Italian, it also has Spanish, Greek and Arab influences because Sicily only became part of Italy in 1860. 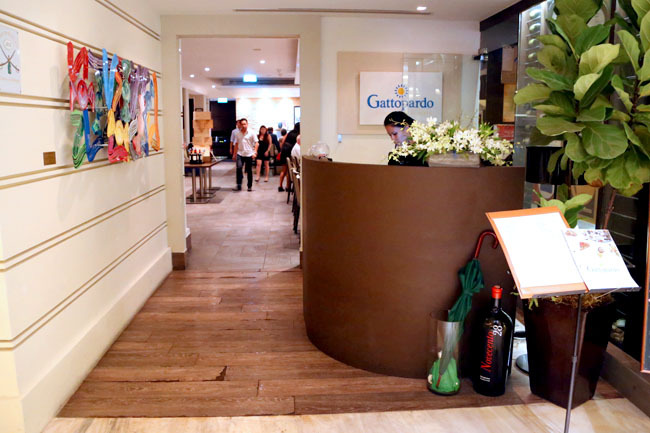 Gattopardo Italian Restaurant & Pizzabar at Hotel Fort Canning is one place to appreciate authentic Sicilian cuisine to fuller aspects. 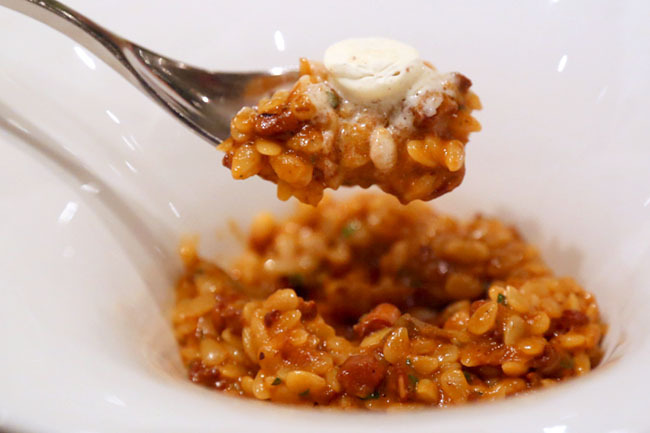 After all, it is also named after a famous Sicilian novel by Giuseppe Tommasi di Lampedusa, helmed by Chef Lino Sauro who has more than 25 years of culinary experience. While the restaurant looks like a higher-end diner where you can go enjoy a romantic dinner date, there is still a rustic aura with its usage charcoal grill and wood-fired oven for baking their gourmet pizzas. Yes, you can have Sicilian BBQ on the Almerita Terrace where the chef would be cooking live from your table. 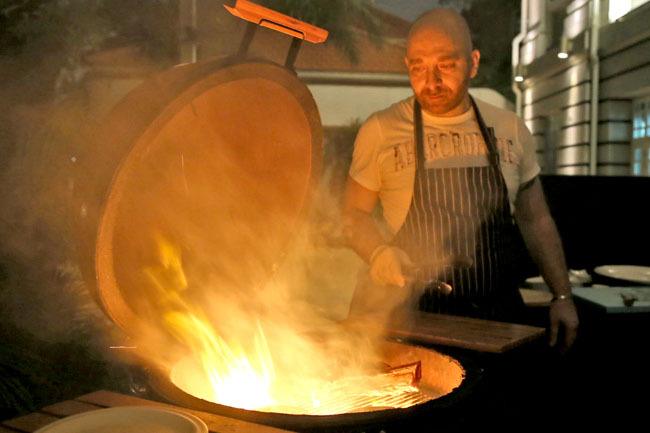 I was there for a special 4-course Sicilian barbecue dinner ($158++ per person) organised by the Palate Club, where Chef Lino Sauro did an on-the-spot barbecue demonstration as though he was cooking for guests at home. There were some takeaways which I learnt about Sicilian cuisine. In Sicily, you appreciate the food for what it is. I was slightly surprised that the Fresh Scampi and Calamari was grilled only for a manner of seconds, where Chef Lino Sauro stressed that over-cooking would not allow you to relish its original goodness. 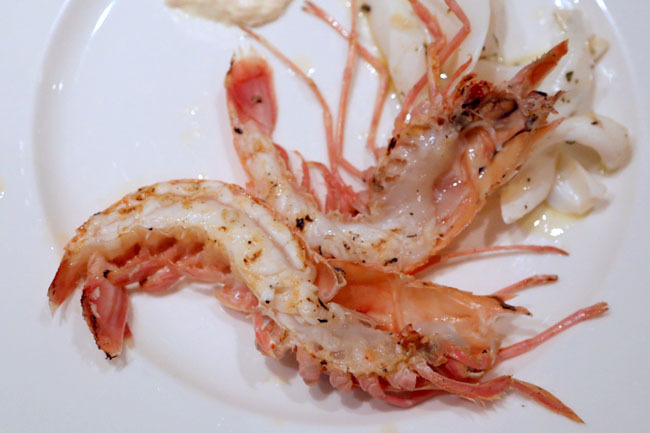 After all in Sicily, its people eat fresh produces and seafood that is found within miles. Though it still felt a little ‘raw’ to me. Yes, seafood is a necessary part of the Sicilian diet where they can be found in abundance. 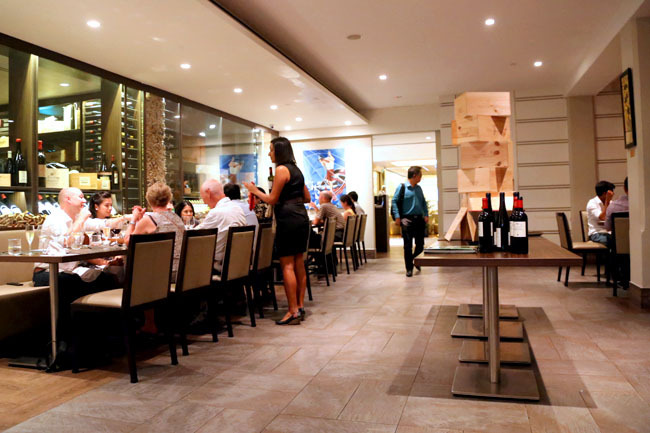 Many of Gattopardo’s signatures are seafood based, including Amberjack with Sea Urchin Vinaigrette, Angel Hair Pasta with Grey Mullet “Bottarga” Roe and Sea Urchin. I had a Risone Pasta with Braised Octopus and Bone Marrow which I really enjoyed for the slight hint of seafoody-saltiness. 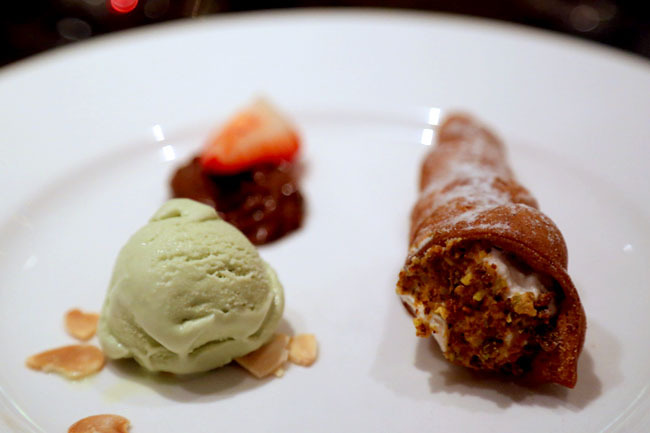 Chef Lino always says you can’t hurry things in Sicilian cooking. And many of his dishes feel fresh and unprocessed. I had a Wagyu Beef with Pork Sausages. 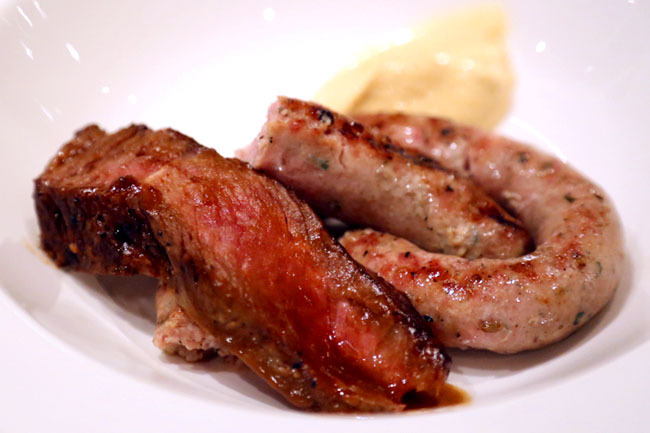 While sausages usually give the impression of being processed, his version felt like it was made right at home – very real, very simple. I know this sounds strange, but I needed to tune my mind to appreciate that very down-to-earth and original taste. I could very well imagine people criticising the food for being not complicated, not flavourful enough, not full in taste. Fair enough. The Sicilians probably believed a lot in celebration and feasting, as since at all the customers were having fun taking a watch at the barbecue while having Sicilian wine. Even though everyone was seated prim and proper in a dining setting, the mood was still jovial with lots of laughter. That is the Sicilian spirit. ← Dear Singa, My Father Was The Most Courteous Principal. No, He Did Not Quit.